Hey VTL members past-present-and-future! What’s cooking at the Tool Library? 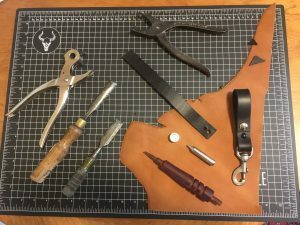 Well why don’t you come say hello and check out our new leather tools and get your DIY on! Make yourself a belt, key lanyard, dog collar, wallet, backpack, or whatever else you can dream up. « Member projects made with VTL tools!